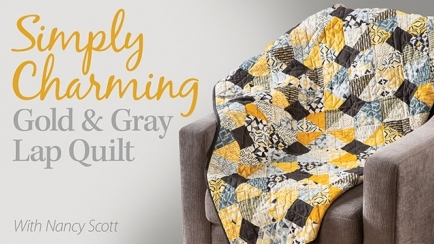 Learn how to create beautiful, quick and easy quilts using gorgeous panels! 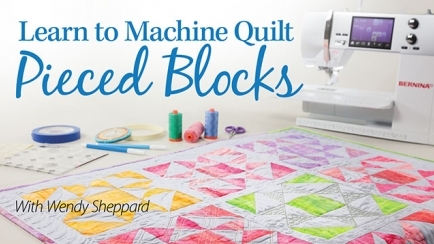 Learn how to finish quilts at home using your embroidery machine! 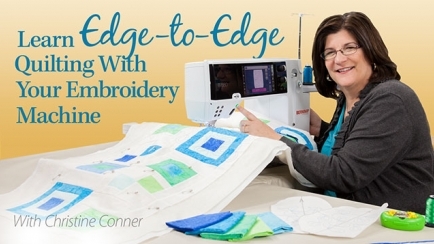 Expert Christine Conner shares her "easy connect" method for stitching edge-to-edge quilting designs. 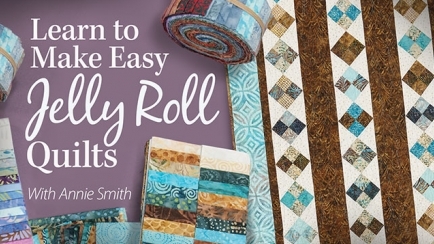 Learn how to piece and quilt this gorgeous Jelly Roll bed runner with expert quilter Nancy Scott! 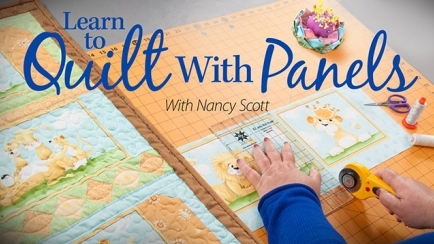 Discover how 5-inch charms can save you time in piecing your quilt projects! 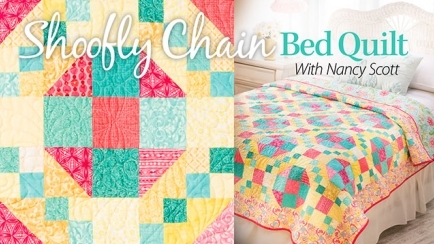 Learn to cut and piece a shoofly block and Irish chain block using beautifully coordinated fat quarters! 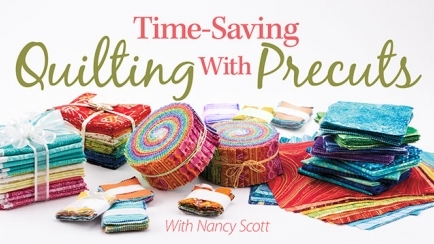 Discover how precut fabrics can save you time in finishing your quilt projects! 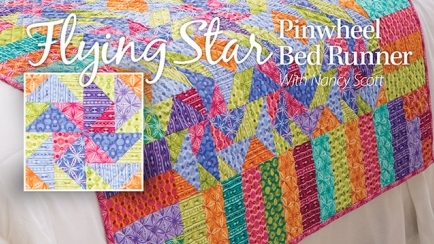 Complement and complete pieced blocks with machine-quilted designs that enhance and beautify your quilts! 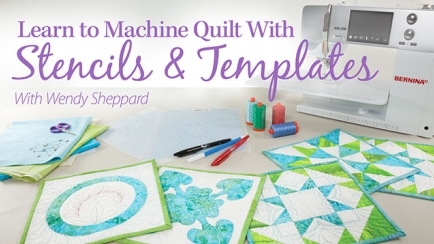 Learn how to choose the right stencils and templates for machine quilting your projects! 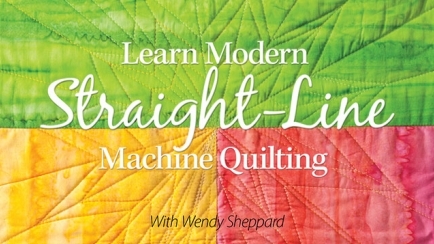 Give your quilts a modern look by machine quilting them with contemporary straight-line patterns!